Is there a hydrangea I can grow even though we have harsh winters? 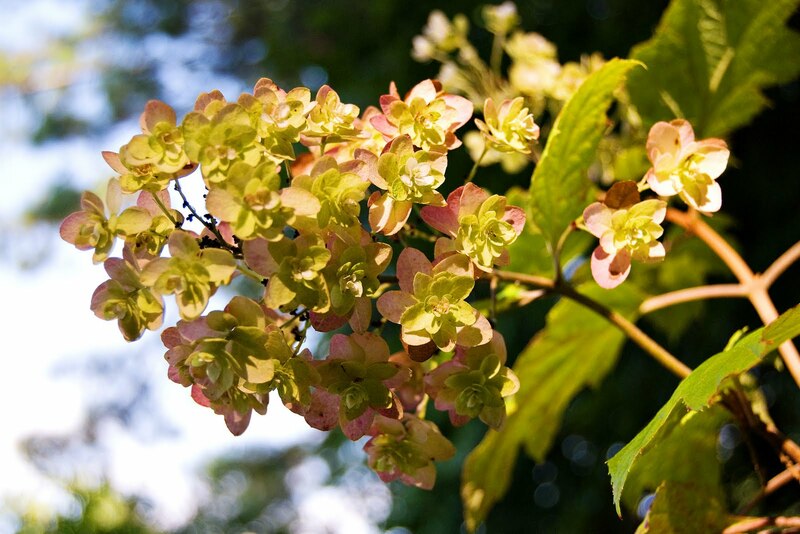 Bloom Color: Cream, ivory or white often aging to green or pink. Pros: Blooms on new wood, so it is not affected by late frosts. One of the few hydrangeas which does well in full sun - don't even think about putting her in the shade! Bloom Time: Late summer, but blooms will age beautifully until hard frost. 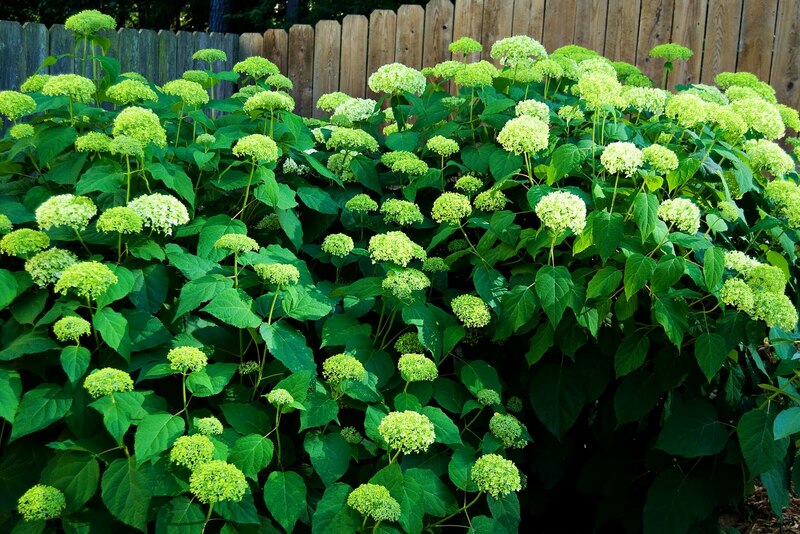 Bloom color: begins bright green, turns white and ages back to green. Pros: Also blooms on new wood and is not affected by late frosts. Bloom time: Early in the season. Favorite: Annabelle, which will re-bloom in late summer if deadheaded and cut back after the first bloom. 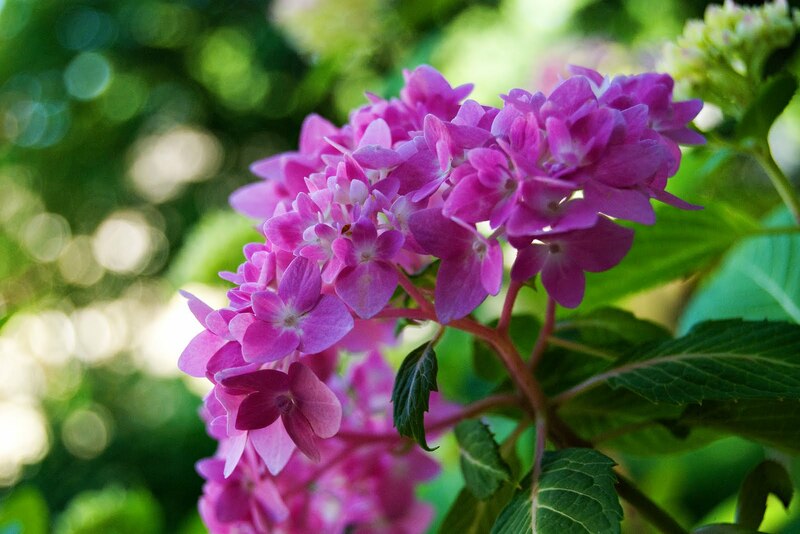 Bloom color: blue or pink depending on soil conditions. Pros: very hardy and colorful! The further north you are located, the more sun she'll tolerate. Here in the south, she'll need protection from the afternoon sun. Bloom color: Green to ivory/white and age pink. 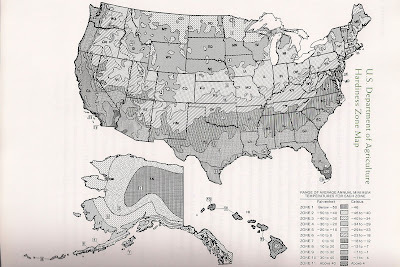 However, they will burn out or brown out by July here in the south. I simply cut the spent blooms & enjoy the remaining foliage. 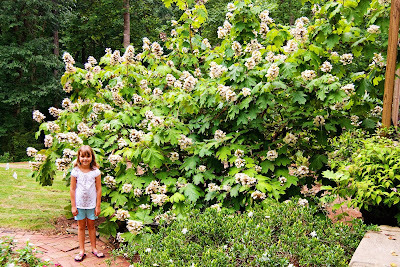 Note: Bees love oakleaf blooms in the early stages, so beware if you are allergic to stings. 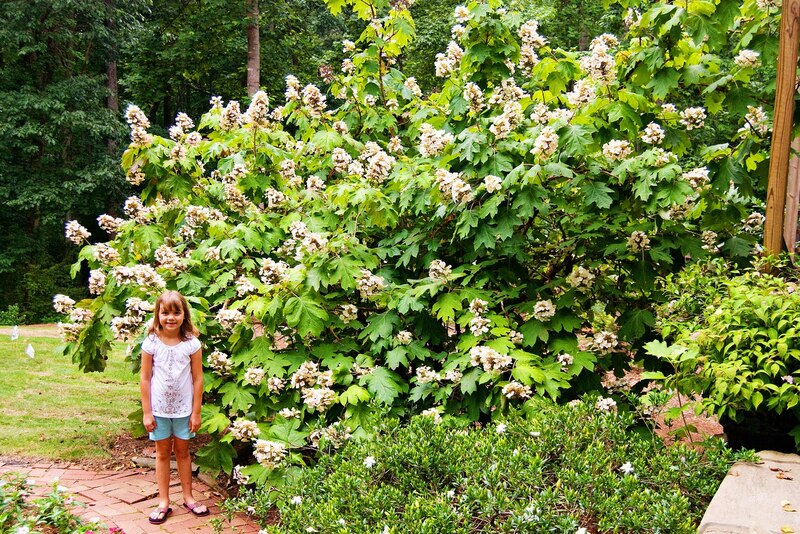 Favorite Oakleaf: 'Snowflake' - it has a double flower and the bloom ages better than others in my garden. Bloom colors: Purple, blue, white or pink. Pros: Lacecaps are a more reliable bloomer than mopheads since they are hardier. (Less threatened by late frosts.) Since their blooms are more delicate, they remain upright. In case you are wondering why I am posting this now, it is because hydrangeas are best to plant in the fall. This way, there is less stress on the plant, it gets plenty of winter moisture and has time to set it's buds. 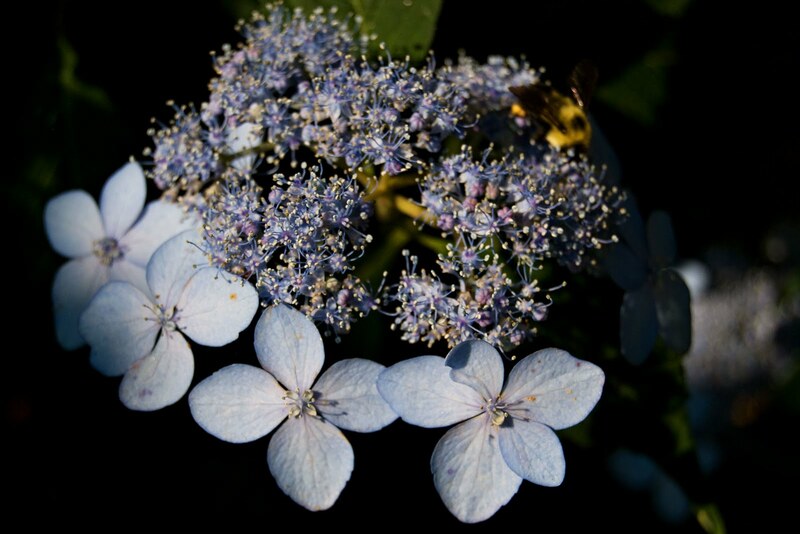 So go forth and get yourself a hydrangea or three...or five. Best to plant in odd numbers. gorgeous shots - these are always a favorite. reminds me of quaint, peaceful and happy gardens. These are amazing shots!! I love that deep blue one...gorgeous! Our city has some gigantic hydrangeas in the street gardens. Such amazing blooms. 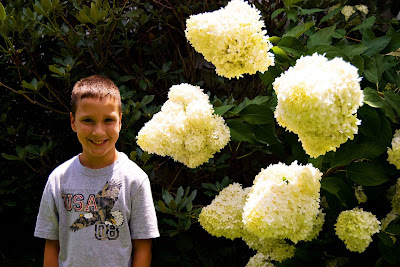 I had no idea there are so many hydrangea varieties. Beautiful pictures! Hi Traci, My Travel Tuesday post is all about flowers today, so I have mentioned you, and linked back to your blog through my post. Have a wonderful day. 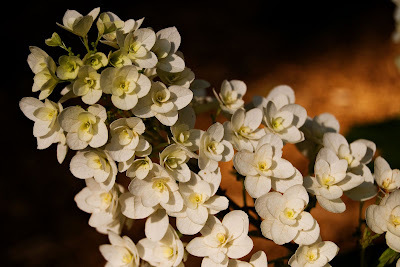 well since these gorgeous flowers are scarce in the desert, I am admiring your images! Beautiful! Great, now one more thing to add to my list of "what to plant". Hee hee! This is great! I love hydrangeas! This is very well done! 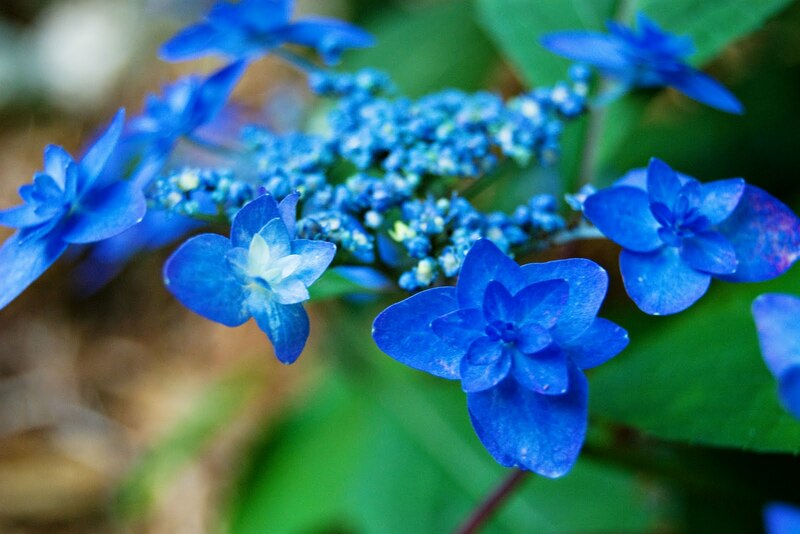 Hydrangeas are my true favorite flower. I loved all the photos and thanks for the info. Thanks also for visiting me today. It's been a pleasure perusing your blog ! thank you for sharing the beauty and info ! Thanks for leavin' some love! I am a wife, a mother, a photographer, a gardener, a scrapper, a crafter, a Steelers fan and a blue jeans kind of girl. Along with some inspiring photographers! Check it out!